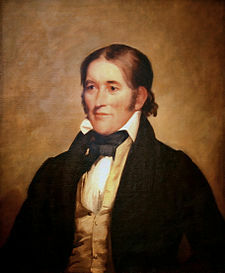 Davy Crockett, the celebrated hero, warrior and backwoods statesman, was born on the banks of the romantic Nolichucky River near the mouth of Limestone Creek, which is near present-day Limestone, Tennessee. Best known for the words, "Be sure you're right and then go ahead," Davy was respected for his honesty and sincerity. It was those values that have made him a hero to many people today. Amidst the Crockett craze of the 1950's, when Fess Parker portrayed Davy Crockett in the "King of the Wild Frontier" series, the Davy Crockett Birthplace Association built and furnished a log cabin, a representation of the one Crockett was born in. The Association developed the area into a park, which contained 3 acres of land. In 1973, the Davy Crockett Birthplace Association presented the park to the State of Tennessee. Deteriorating conditions and new research indicating historical inaccuracies in the first reconstruction were leading factors in the decision by the Department to dismantle and rebuild it again. Today, the new cabin reconstruction stands in the park reflecting the type of frontier home Davy Crockett would have most likely lived in during his early years. In 1976, additional land was purchased for the park, which consists of a campground, hiking trail and a site for the Park Manager's residence. Encased in stone in front of the cabin is an engraved marker reported to have been the footstone of the original cabin. Engraving of the marker is documented to have taken place at or about the time of the 100th birthday celebration of Davy Crockett in 1886. Located near the cabin is a monument erected in the late 1960's by the Ruritan Club in memory of Davy Crockett. Owing to Crockett's stature as a national hero, each of the 50 states is represented in the wall of the monument. Stones native to each state are incorporated in the monument wall and engraved in the respective state's name. 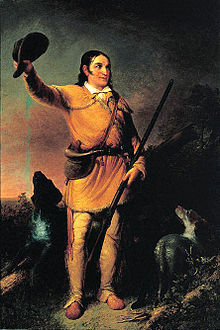 Davy Crockett stands for the spirit of the American Frontier. As a young man, he was a crafty Indian fighter and hunter. When he was 49 years old, he died a hero's death at the Alamo, helping Texas win independence from Mexico. For many years, he was nationally known as a political representative of the frontier. Davy's grandfather came to North Carolina from Rogersville, Tennessee. While his older sons were away with the Revolutionary Army at King's Mountain, the grandfather, his wife, and family at home were killed by the Creek Indians. John, Davy's father, soon moved to Greene County, where Davy was born at the confluence of Limestone Creek and the Nolichucky River. While Davy was young (probably 5 or 6 years) his father moved the family to Cove Creek in Greene County, Tennessee, where he built a mill in partnership with Thomas Galbreath. The mill was washed away with his home. After this disaster, John Crockett moved his family to Jefferson County where he built and operated a log-cabin tavern in the Knoxville-Abingdon Road. While Davy lived there he spent four days at the school of Benjamin Kitchen. He had a fight with a boy at school and left home to escape a "licking" from his dad. He got a job helping to drive cattle to Virginia. In Virginia, he worked for farmers, wagoners and a hatmaker. After two and one-half years, he returned home, now being 15 years of age and approaching six feet in height. In those days a boy either worked for his father or turned over his pay if he worked for others. Upon promise of his freedom from this obligation, Davy worked a year for men to whom his father owed money. He often borrowed his employer's rifle and soon became an expert marksman. The son of Davy's employer conducted a school nearby to which, for six months, Davy went four days a week and worked two. Except for the four days he had attended school when he was twelve, this was all the schooling Davy ever had. 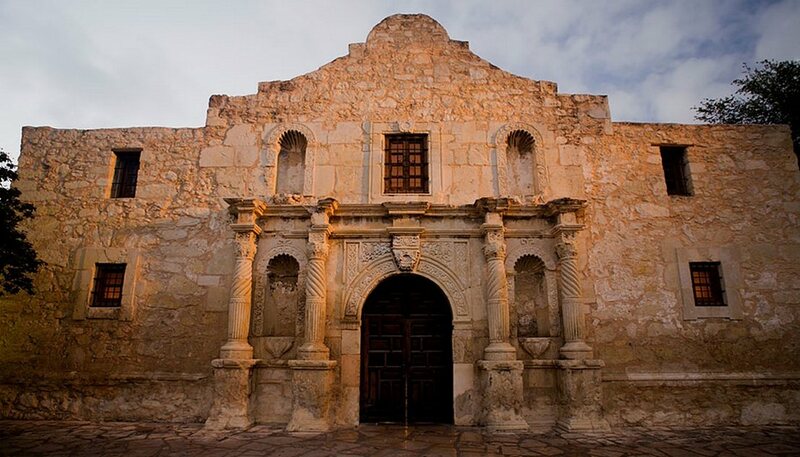 In March, 1836, Davy Crockett, with 139 others, was massacred at the Battle of the Alamo. Usually in battles, someone is left to tell the story, but the Alamo had no one. One hundred and eight-seven men for 11 days withstood the Mexican army of the despot, Antonio López de Santa Anna. When the battle was over, all of the 186 brave Americans, including Davy Crockett, lay dead on the ground; but with them also lay several hundred dead Mexicans.